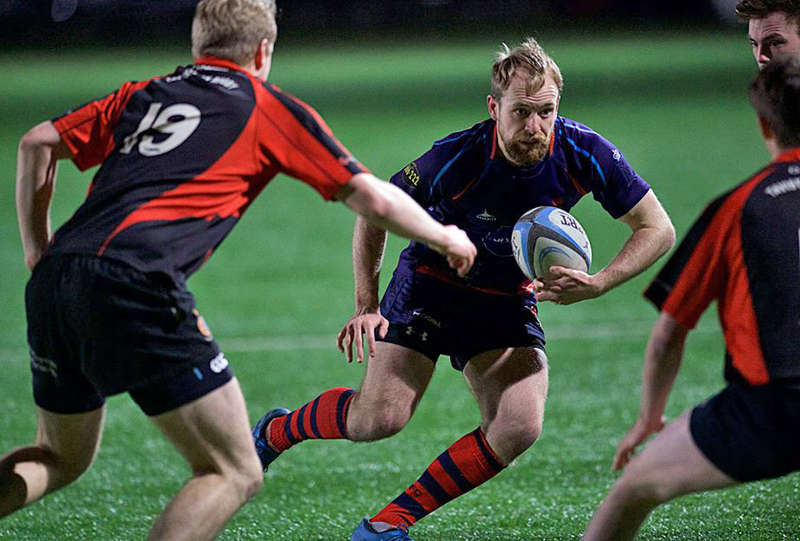 DEVONPORT Services IIs booked their place in the Lockie Cup semi-finals with a 55-22 victory over Tavistock on the artificial surface at Keyham on Tuesday night. The game, though, was much more competitive than the scoreline suggests, but Services scored four quick-fire tries in the dying minutes to make the win look much easier than it was. “It was a really enjoyable game to watch,” said Devonport coach Mike Lewis. “You never know what it is going to be like when it is a rearranged match thrown on a Tuesday night. “But I do think the scoreline did flatter us a little bit. I just think our fitness was a tad better than theirs in the last 15 minutes. But with 15 minutes to go we were trying to figure out how to close the game out. Tavistock coach Hammy Kerswill said: “I said to the team afterwards that the first 60 minutes were very impressive. “We had a bit of a mixed team out. As we have not been playing second team rugby recently, we gave those who are regularly training the first choice of a game and filled in with the rest of the first team. “We had a cracking start in that first 20 minutes and up to 60 it was really good, but in that last bit they just had too much. We ran out of a little bit of fitness. Tavistock dominated the opening 25 minutes with Services struggling to find a way to stop fly-half Mark Friend. The visitors scored after less than two minutes when Martin Budden went over in the right corner after some great play from kick-off. Tavistock then wasted a penalty in front of the posts by trying to run it before Services equalised with a try by Ian Nichols. Friend was held up over the line on 13 minutes before he did score a good converted try under the posts nine minutes later to put Tavistock 12-5 up. They probably should have been further ahead at that point, but suddenly Services started to get into the match. They reduced the gap to 12-10 when full-back Kyle Holden scored after a clever pinpoint cross-field kick by Matty Anstis. Anstis then kicked a penalty to put Services 13-12 up before deep in first half injury-time he kicked another to give his side a 16-12 half-time lead. That was increased early in the second half when flanker Joe Page scored after good play by Joe Wyatt, who made a big impression after coming on as a replacement in the first half. Anstis converted to make it 23-12. But then Friend scored the try of the game on 50 minutes. He picked the ball up in his own half and managed to skip around a host of tacklers in the middle of the pitch before out-pacing Services winger to score in the corner and bring his side to within five points. The experienced Anstis kicked a penalty on 55 minutes to put his side two scores in front again before Page claimed his second try, which Anstis converted. Services were probably thinking they were clear at 33-17 up, but after both sides were reduced to 14 as the game got heated – Stu Bartlett yellow carded for Services and Kerswill for Tavistock – the visitors scored a fourth try through Morgan Warnett. With seven minutes of normal time left the only difference between the sides was the goalkicking of Anstis, but then Services just ran riot. New signing Lewis Swatton scored his first try in a Devonport shirt, which Anstis converted, before Holden collected his second after Wyatt unselfishly put him in when he deserved the score for brilliantly creating the chance. Then deep in injury-time, Rocky Young went over from a catch-and-drive move for Servcies, before Holden claimed his hat-trick straight from the restart. 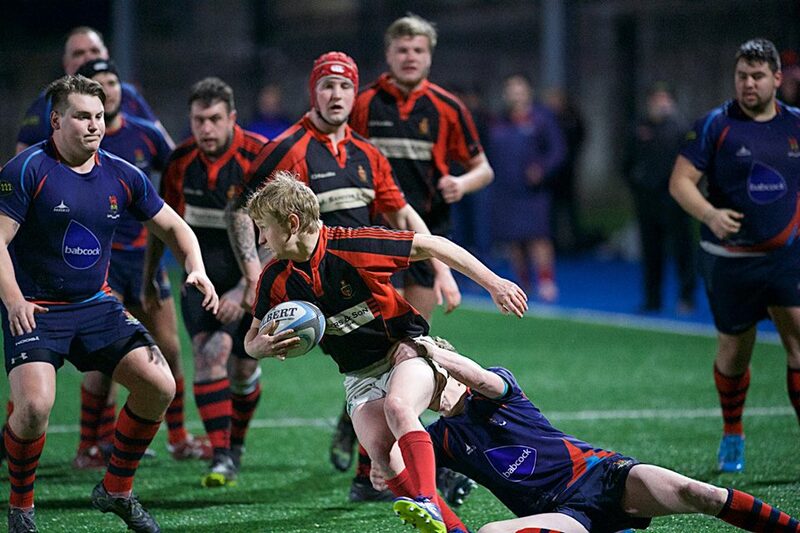 Services will face either the University of Plymouth IIIs, Tamar Saracens or DHSOB in the semi-finals.